Trestle Tables are the perfect dining room furniture choice for accommodating large family gatherings or dinner parties. Typically accompanied by solid wood slatted-back chairs, these tables feature an open design that offers greater maneuverability for diners than tables with a leg at each corner. 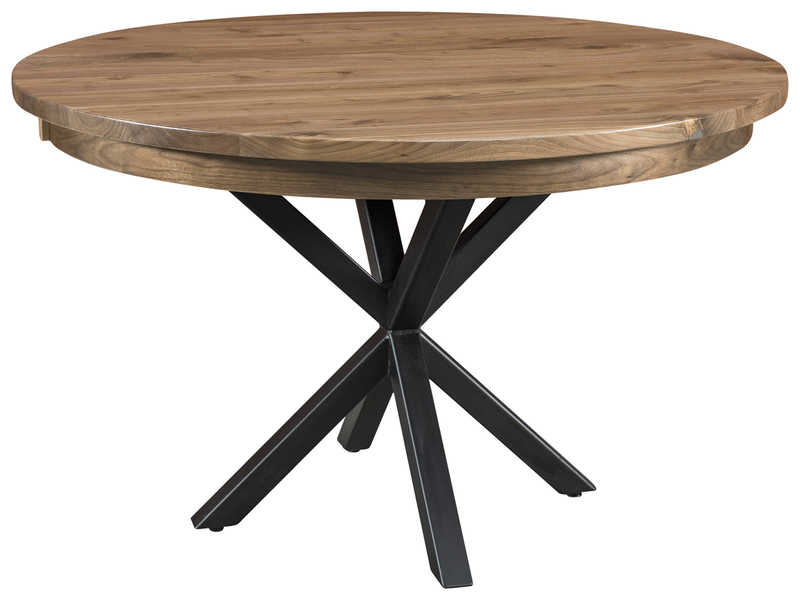 AmishOutletStore.com carries more than 400 beautiful hardwood trestle tables in a wide range of styles, including an assortment of Mission and Shaker style designs. Why Choose Trestle Tables for Your Home? Trestle tables allow you a fantastic marriage between practicality and appearance in your dining room or kitchen. When you add leaves, these tables can expand to make room for new guests. They fit perfectly into a more formal dining room or a more casual kitchen. 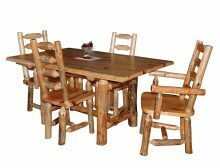 We know many of our customers appreciate the rustic appearance of a trestle table, which can liven up a room and become the focal point of your social gathering. Trestle tables also provide the durability you need from your furniture. When you buy a trestle table from AmishOutletStore.com, you know it will stand the test of time. You make an investment in quality that will pay off for years because you will not need to replace the table. 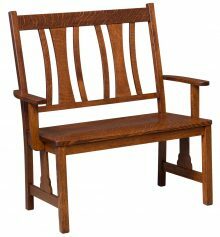 Each one has the exquisite detail you expect from Amish-made furniture. We know so many customers who have come back for more tables from us for other areas of their home. One thing that all of our Trestle tables have in common is that they are made one at a time by skilled Amish crafters who strive to make each table a memorable furniture masterpiece. The tables also offer a choice of hardwoods that includes the finest Oak, Cherry, Maple, Hickory and Q.S. White Oak. You can also select from numerous solid wood stains to finish the table to your exact specifications. 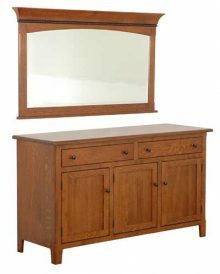 Every piece of furniture sold by AmishOutletStore.com is made by Amish artisans. These gifted craftsmen learned their trade as youngsters by watching their parents and grandparents create furniture. As they grew older, our artisans tried their own hand at making different pieces, using the same traditional methods employed by their elders. We are proud to sell these well-made items, which rely on the finest materials, and everything is handmade to order. We offer daily discounts of up to 33 percent off our furniture, as well as monthly specials you can find on our homepage. Transform your dining room by ordering a handcrafted Trestle Table from AmishOutletStore.com today!